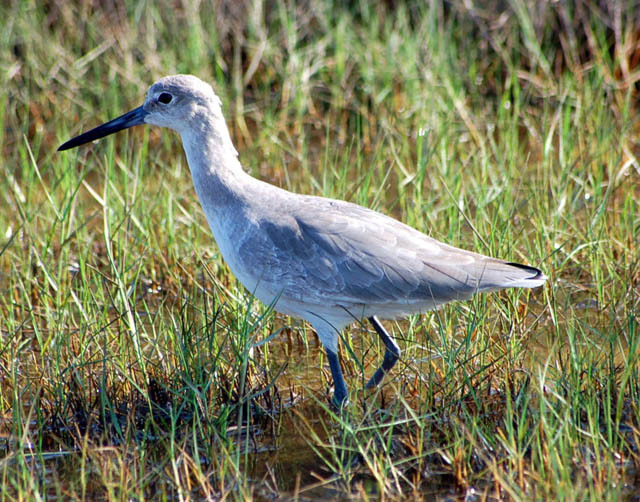 This willet was spotted on the side of the road near Magnolia Beach/Indian Point. Hurricane Ike recently put an extra 3'-4' of water into the bay and flooded roads in the Magnolia Beach and Indianola area. This willet was walking near the side of the road looking for aquatic insects. Copyright 2006-08 - IndianolaTx.com - All rights reserved.